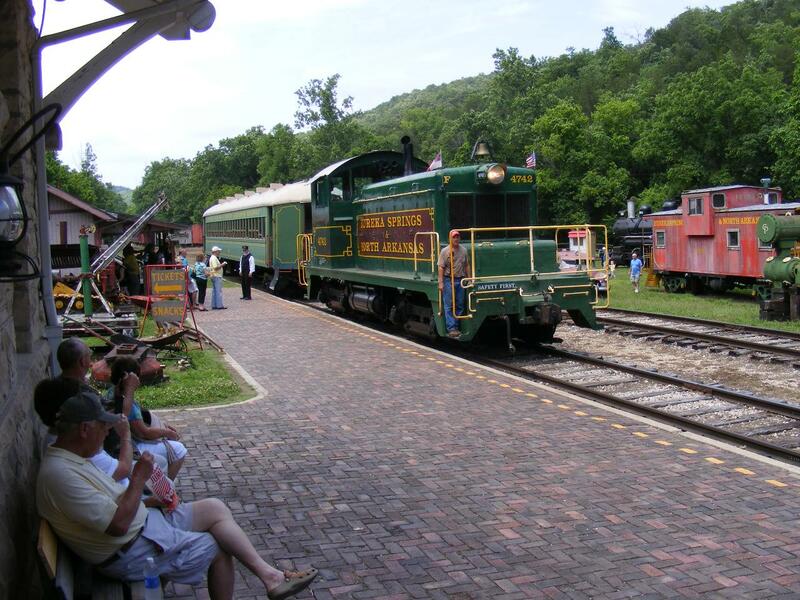 Ride with a Conductor in a 1928 Chicago Rock Island & Pacific coach pulled by a 1942 model locomotive along the old M&NA railroad route north of Eureka Springs to Junction, Arkansas and return. Approximately 4 1/2 miles round trip. Pending Supplier Emails are sent out until we reach our minimum number of riders. Once we reach our minimum, then Confirmation Emails will be sent out. If we do not reach our minimum then we will issue refunds for the full amount paid. Most of our Excursion Train tickets are sold in the depot shortly before the run, so it may be on the day of the departure that you receive your Confirmation Email. If you have any questions about booking or need help please call us at 479 253 9623. Please, pick up your tickets from the Baggage Room Gift Shop before boarding. Children under four can ride for free. Pets are welcome aboard the Excursion Train.